Nissans are some of the best cars out there for drivers in the Greater Fort Lauderdale area. The Nissan Versa is a popular choice among Nissan lovers of all ages, for many reasons including amazing fuel economy, lots of cargo space, and a powerful four-cylinder, 1.6-liter engine. If this sounds like the right car for you, you might wonder how you can get affordable pricing on one. Although the Nissan Versa isn’t the cheapest car on the market, there are a few ways you can improve your odds of finding one you can afford. It’s always more exciting to say you’re shopping for a brand new car, but shopping for a used car can be just as fulfilling. New cars depreciate the moment you drive it off the lot. When you choose to buy a used Nissan Versa, you get all the perks of a great car without the high pricing of a new one. Even though someone owned the car before you, it’s still new-to-you, and the lower price tag makes it well worth it. Buying a new car at the first dealership you see in the Greater Fort Lauderdale area might be tempting, but patience pays off when it comes to car shopping. The closest dealership to you might end up being the most expensive one. Buying a new or used car is expensive enough, which is why it’s a good idea to visit various dealerships before choosing one. Take note of how much each dealership is asking for the car you want. Not only does this help when comparing prices, but it is also the perfect bargaining tool. If you let a salesperson know you got a lower estimate somewhere else, there’s a good chance he or she will lower the price even more. Along with shopping around, you should also read reviews on various dealerships before making a decision. Look for a dealership with a reputation for providing fair pricing, outstanding customer service, and a large inventory of cars. You want to make sure you buy your Nissan Versa from a dealership you can count on. These dealerships are the ones that will likely offer special deals because the customers are always number one. 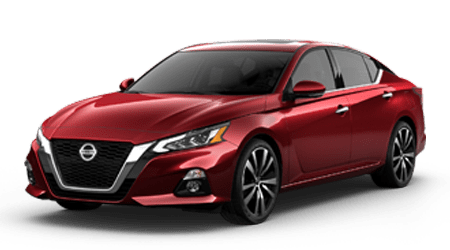 Visit Performance Nissan today for affordable pricing on a new Nissan Versa as well as the best service near the Greater Fort Lauderdale area, FL.